Join the Happy Hunting staff for a live broadcast of the latest episode of our show today, Friday Nov 8 at 3pm SLT, in the treetv studio. 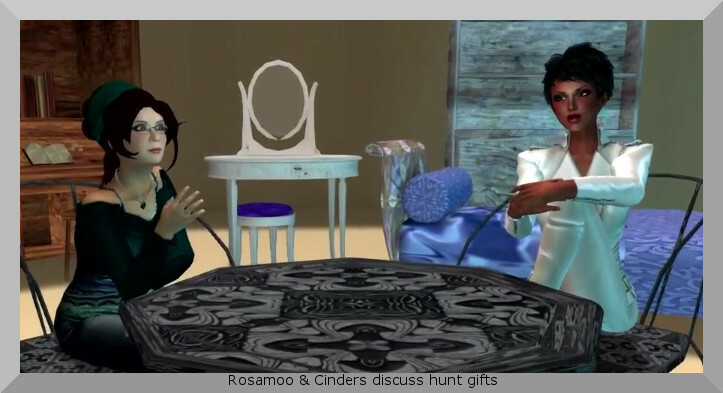 Rosamoo Mendelsohn, intrepid Hunt Reporter, shares an overflowing set of gifts with Host Cinders Vale. 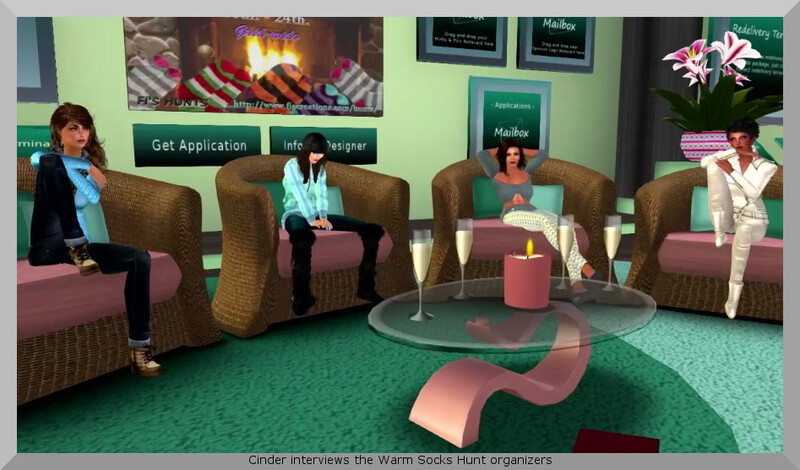 As the weather cools off Cinders talks to Amy Lombardia, Fiona Scorfield and Butterfly1980 Magic, the organizers of the Warm Socks Hunt, just what we need to keep our feet cozy and toasty. If you can’t make it to the live broadcast, you’ll find a link watch it on line after Friday on our web site at happyhuntingtv.wordpress.com. Next Post: Designing Worlds pays a visit to the art extravaganza of Burn 2!